After 12 long years of spin-offs, and remasters, the Yakuza franchise is finally closing the curtain on its main series with Yakuza 6: The Song of Life. The title may confuse some who haven’t followed the trajectory of the series since day one, but it’s clear from the minute that you glimpse the familiar streets of Kamurocho that the particular tune of this latest installment is Yakuza’s swan song. If this is your first taste of the adventures of Kazuma Kiryu, then it’s going to lack some of the intended poignancy; it’s hard to come into a story and to feel attached to its characters as it’s drawing to a close. However, that won’t stop the team at Sega from tugging on your heartstrings with an expertly woven tale about loss and new beginnings. For the uninitiated, Yakuza 6 opens with a rather handy exposition dump in the form of beautiful cutscenes that detail the moment that everything went wrong in the previous title. You learn very quickly about the rise and fall of Haruka, Kiryu’s adopted daughter, and about how her life was swallowed up by Japan’s idol culture.You also get an introduction to the life and times of Kazuma Kiryu; the spitfire of the Yakuza series now trying to live life as a civilian, even as the dragon tattoo on his back clearly marrs his plan for a peaceful retirement. 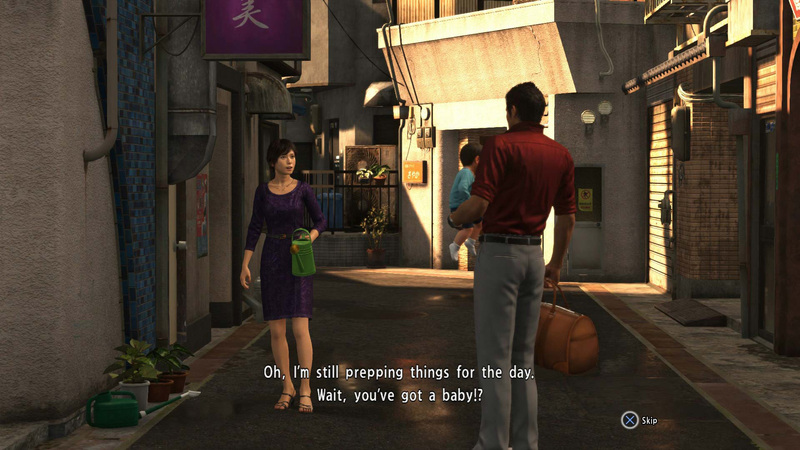 You start the game as Kiryu, isolated in your pursuit for answers, and saddled with a baby. The writing on the wall is clear from the very beginning: this is a redemption story, and a story about family. The game plays on those tropes well by ensuring that most of its action takes place away from the seedy glamour of Tokyo that fed the previous instalments in the Yakuza series. You still spend some time drenched in the neon lights of Kamurocho and its nightlife, where the flesh trade is bloodier than ever, but most of your soul-searching is done offshore in Onomichi, Hiroshima. One important thing to note about Onomichi is that it’s tiny. There’s no sprawling streets, and no maze of alleyways haunted by police sirens and harried salarymen. It’s a port town that is immediately hostile to the player, mostly because of Kiryu’s background and his baggage, and it looks just like it’s been lost to time. The buildings are old, and organised crime in Onomichi is an institution that still abides by incredibly traditional rules. It’s amongst that backdrop of an aging town that you navigate Kiryu’s constant internal struggle between his idea of the yakuza and what the future holds for both him and the organisation that has operated as his family. If that all sounds a little heavy, then you’ll be happy to note that the latest instalment in the Yakuza franchise is packed to the gills with distracting sub-missions that match up to any and all expectations that you may have after the social media goldmine that was Yakuza 0. You can sub in for a children’s entertainer by being the mascot of Onomichi – a dapper fellow that’s got an orange for a head, fisherman’s boots, and a host of marine-themed accessories. You can even take a turn at running a cat cafe if you’re committed enough at feeding and loving every angry stray that you see. If that doesn’t float your boat, you can hang out at a pub and lend a supporting ear to stressed out locals over a highball or ten, or take up karaoke again. There’s also the Live Chat minigame which involves you flirting haphazardly with a bunch of attractive camgirls. True to the series formula of casting famous actors in character roles, this particular venture sees popular Japanese adult movie star, Anri Okita, flex her skills even as you’re totally inept at sexting. Doing well at one of the many entertaining side-missions feels like an exercise in scraping by on Kiryu’s charm alone, and soon you’ll begin to feel nostalgic for the overblown cockiness of the younger gangster that the previous games had encouraged you to embody. There’s more than a little disconnect between the Kiryu of the main narrative and the Kiryu that Yakuza 6 (and previous titles) encourages you to unleash in hostess clubs. The majority of your time in the narrative trenches is spent espousing how you need to make a better life for your grandchild, and how you’re in constant disbelief that Haruka was caught up in the underbelly of the criminal world. Having the option to hit on distraught teens as part of a side mission where you’re meant to encourage them to pursue their chosen career is one of the many instances where Kiryu’s old horndog ways seem decidedly dissonant. However, that lack of synergy is refreshingly absent from the other meaty part of Yakuza games: the combat. Even though Kiryu lacks the homicidal flair for the dramatic that made Majima such an entertaining character to beat up thugs with, Yakuza 6 more than makes up for that with some incredible combo moves that utilise the game’s beautiful environments more than ever. Had a dream of killing someone with a microwave? You can if you mash the right keys while you’re cracking heads in a convenience store. Want to off someone by throwing them bodily into a Mos Burger? Sure. The only limit here is your imagination, especially now that you’re no longer boxed into a ring by eager onlookers when rival gang members catch sight of you. You’re free to use anything ranging from a rock to a hard place and everything in between when dispatching your foes, and the fluidity that this brings to the table makes being a bad man feel extremely good. Just as appetising is simply taking the time to explore the beautifully rendered world of Yakuza 6. Whether it’s getting a cheap dinner, stopping at a vending machine, or trying out the minigames that dot the streets of Kamurocho, everything gives you some sort of experience and/or skill points for you to spend on becoming stronger. Stop at the right cafe in Onomichi and you’ll find yourself enmeshed in the new Clan Creator minigame, where you run your own ragtag crew, tactical-RPG style, and stand up against corrupt vigilantes. There’s a million ways to pass the time so there’s definitely something for everyone to enjoy, even if new additions like Clan Creator feel like more fluff than substance. Ultimately, what makes the game so compelling and engaging is the microscope that it turns on relationships, ranging from the romantic to the familial. Everyone’s seen the memes and the screenshots of how Yakuza gets wild and wacky, but for a lot of people, that’s not necessarily why they’re so drawn to the franchise. The game uses all of its quirks and bad habits to tell a convoluted but humanising story, and it only manages to do so because of the way that Kiryu is, well, Kiryu. It’s in the cutscenes that make the game feel almost like a visual novel at times, all because they’re telling a story that’s at equal turns poignant and hilarious. It’s also in Kiryu’s reaction to all things newfangled and modern, and the way he treats civilians and yakuza alike. Kazuma Kiryu’s rise and fall is played out meticulously in Yakuza 6’s many animated scenes and quick-time events. When Kiryu plays with life and death by fighting a horde of armed men as a father past his prime, you feel anxiety when you fumble a sequence of buttons and watch him go flying. 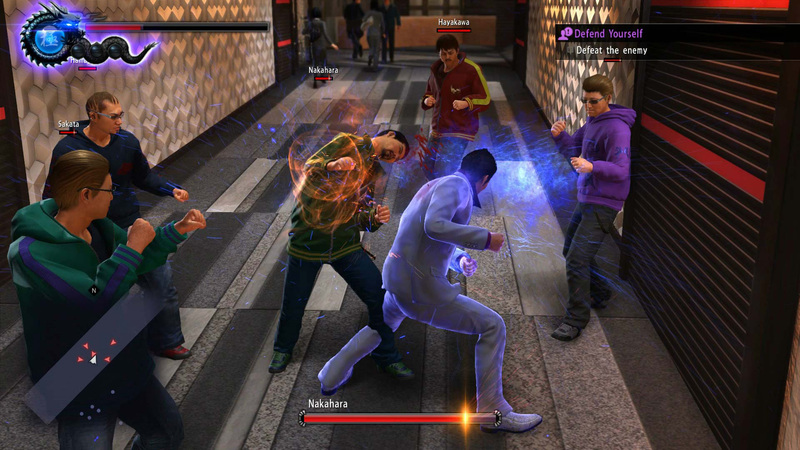 The game creates claustrophobic environments for you to fight in even as it lets you roam free in Kamurocho, and your opponents will mock Kiryu before, during, and after battles. You come to realise that it’s not only Onomichi that’s hostile to the great Dragon of Dojima, but everywhere else too. Extended sequences show shadowy men pulling the strings behind the scenes of familiar organisations, and you feel alienated not only by their length but by everything that you as the player can see is being hidden from Kiryu. It’s that sense of hostility that keeps you balanced on a knife’s edge when you’re going through the motions as a player, just waiting for the other shoe to drop. 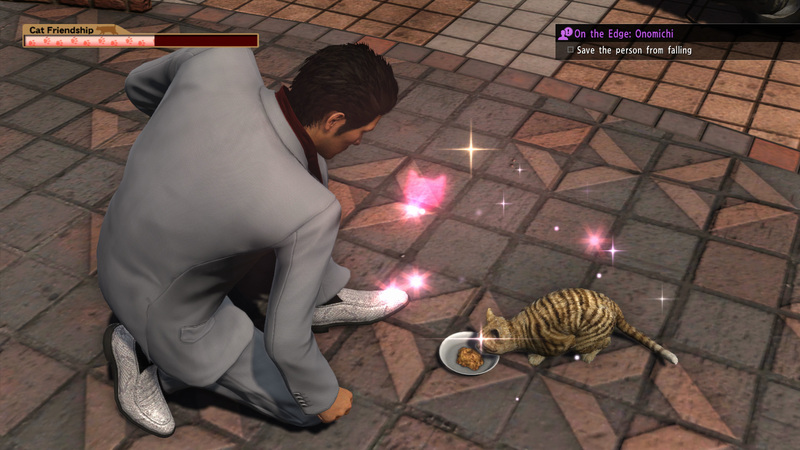 Yakuza has been a franchise about being powerful and about being the top dog for so long, that this new and vulnerable take on Kiryu is instantly the most compelling that the games have been in recent memory. The series might not be going out with a bang, but it doesn’t have to. The solemn swan song of Yakuza 6 is the most fitting end to Kiryu’s story that Sega could have conducted. If you enjoyed this review and plan to buy Yakuza 6: The Song of Life, you can support Shindig by using this affiliate link. 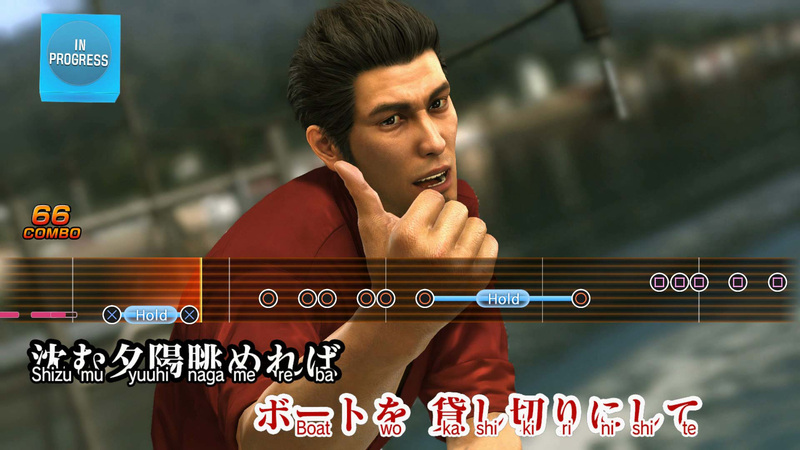 Yakuza 6: The Song of Life is developed and published by Sega. It’s available now for PlayStation 4 (reviewed). Ginny is a freelance games & esports writer. She loves the Soft Engine, cats, and sharing her unsolicited opinions on the internet.